Home » Allu Arjun » sruthi Hasan » ss thaman » Surender Reddy . » ALlu Arjun's RaceGurram audio track list . 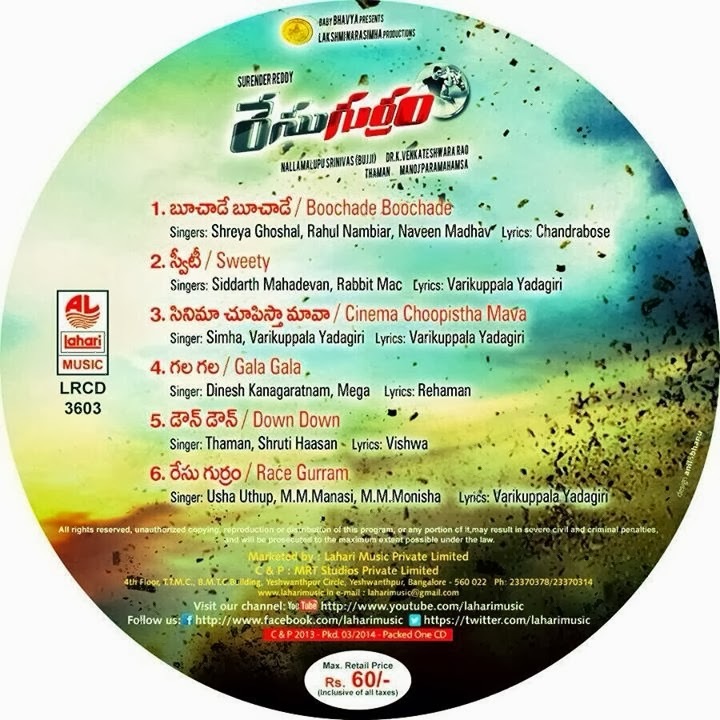 ALlu Arjun's RaceGurram audio track list . Track list of Allu Arjun's RaceGurram tweeted by SS Thaman.